John Mattone's On-Line Masterclass in Executive Coach Development provides an overview of the unique executive coaching blueprint created and mastered by John Mattone, one of the world's most successful executive coaches and leadership authorities. Learn the 10 things that you need to do to start growing your business and brand in the hyper-competitive world of executive coaching. Learn what it takes to help leaders and future leaders unlock and unleash their potential so they truly become the best leaders and people they can be. Learn the secrets to igniting and strengthening a leaders inner-core and outer-core, which enables them to realize 4 A's outcomes that they can leverage as leaders in their business and life: altruism, affiliation, achievement, and abundance (The 4 A's). The 4 A's are the seeds to achieving sustained greatness and creating a lasting legacy. John Mattone is the world's top authority on Intelligent Leadership (IL) and the creator of the IL Executive Coaching Process and Certification. 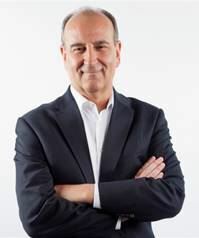 Since 2015, the research organization, Globalgurus.org, has ranked John Mattone as one of the world's top leadership authorities, executive coaches and speakers. In 2015, John Mattone's Intelligent Leadership, along with Tony Robbins Creating Lasting Change and John Maxwell's 5 Levels of Leadership were named the three Top Advanced Leadership Development Programs that Change Lives. Recently, John was honored by his executive coaching peers (The Association of Corporate Executive Coaches), with the prestigious 2015 International Executive Coach Thought Leader of Distinction Award, in recognition of his thought leadership and his work as a global executive coach. John is the author of eight books including three bestsellers.